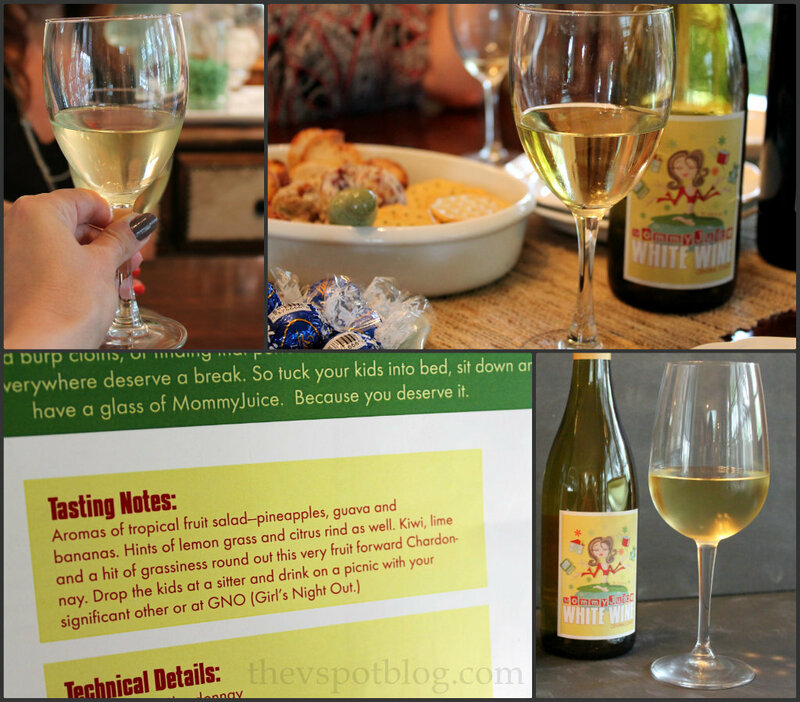 MommyJuice Wine: A fun name… serious wine. Wine. I love it. Virginia Madsen’s monologue about wine in Sideways? Yep. It’s how I feel about wine. It’s important. It helps me unwind at the end of the day, I enjoy learning more about it and trying different varieties. 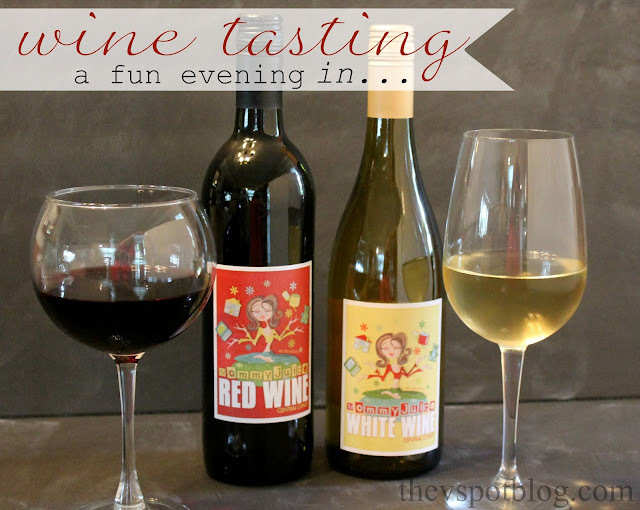 So when I was offered the opportunity to try wines from MommyJuice, I couldn’t say “yes” fast enough! Now I might be a wineaux, but I am not a wine snob. There may be some people out there who wouldn’t take a wine by the name of “MommyJuice” too seriously, but I read the tasting notes for the Chardonnay and the Red Blend that I received, as well as the story behind the wine and its name… fun name, serious wine. First of all, I love the fact that the founder of MommyJuice is a mom and it’s named after her children’s references to her glass of wine as “Mommy’s juice.” But second, and most important, her family is in the wine business and she knows her stuff. 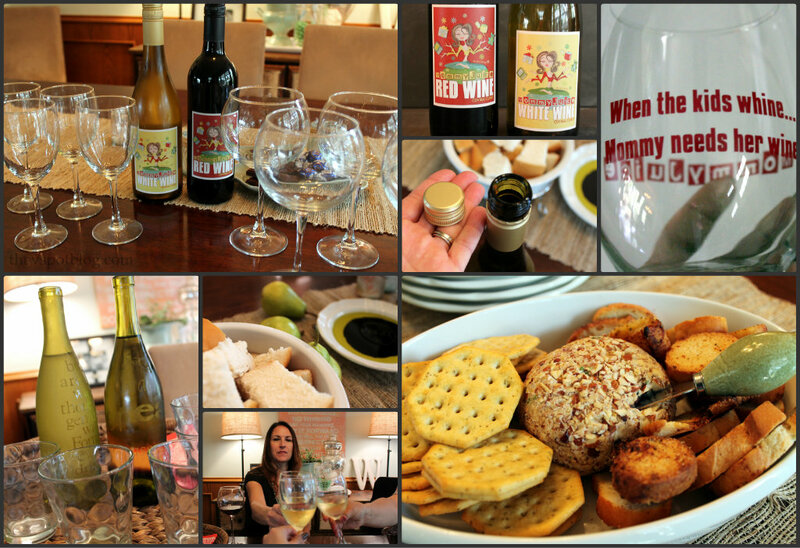 Her family’s Central Coast winery is in a fabulous area, known for producing great wines. She has tons of experience and sits on several wine industry boards. The idiom Don’t judge a book by its cover definitely fits in here. I invited a few girlfriends who are fellow wine enthusiasts over for the evening and we had a tasting. We started off with the Chardonnay. To be completely honest, I was prepared to not like this wine. I do drink Chardonnay but I tend to like it buttery and oaky. Very oaky, actually. I read the tasting notes and I was anticipating something that would be too fruit forward and sweet for my tastes. I was very pleasantly surprised. While this Chardonnay did not have the big oaky finish I look for, it was very well balanced. There were four of us tasting the wines (and three of us who primarily drink reds) and all four of us really liked this. By the way, these grapes were all grown in Monterey, California, an area well known for its Chardonnay. This red blend was nice. It does need to breathe though… even with an aerator, it still needed a minute or two. It was really nice when paired with some dark chocolate. While we all liked the red, we decided that the Chardonnay was the winner. Having a tasting is a great way to hang out with friends. the bottle closures of choice for a lot of vintners. One of the chemicals used to sanitize natural cork can sometimes lead to a bottle becoming “corked” which means a flat, musty smell and taste. Basically, if your bottle of wine is “corked” it is worthless. A screw top is less expensive for the winery and means a better preserved wine. I give you this little cork explanation because it would be a shame to pass up a bottle of MommyJuice on the shelf because you made a snap judgement about a fun label and a screw top. This. Is. Nice. Wine. Look how affordable this is! MommyJuice Wines are available at select CVS Pharmacy stores and Northern California Target stores, as well as in various retail outlets nationwide. 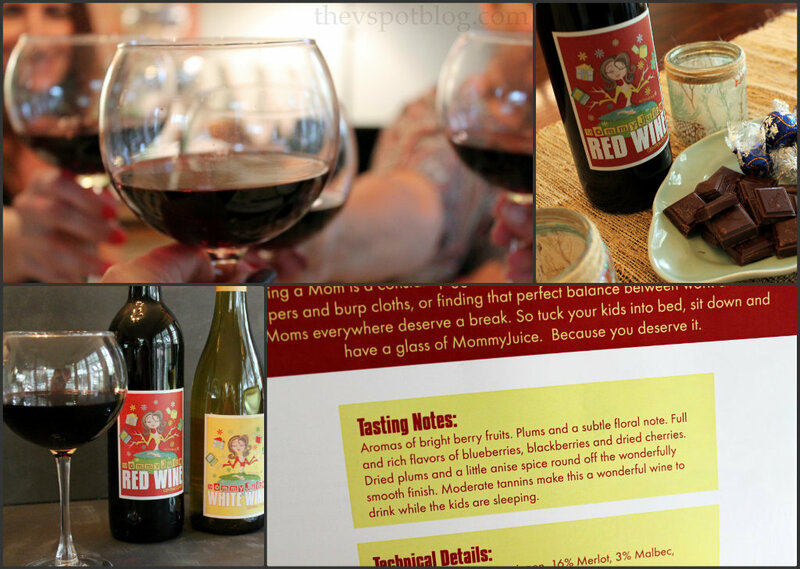 And since Mother’s Day is right around the corner… Wine and Mother’s Day gift packs can be purchased online at www.mommyjuicewines.com. If you are at CVS and snap photos of MommyJuice on the shelf, you can upload them to the MommyJuice Facebook Page and be entered to win a pack of MommyJuice glasses. Being a mom is a constant juggling act. MommyJuice is a an adorable gift for any hostess, friend or family member who is a mother. It’s owned and made by a mom. We drink wine regularly and are pretty picky (okay snobby) about the wines we drink. That being said our favorite is a 12.00 bottle of malbec with a screw cap. We will not drink homemade wines. Ugh. Everyone always says how wonderful theirs is but they are always terrible. ALWAYS. People are just too polite to tell you that. This sounds like a nice wine. A group a ladies in for a wine tasting is a great idea. I have to confess that one Friday after a particularly rough week at work and home I chose a bottle of wine from my wine rack solely on the fact that it was a screw top and I didn't have to bother with the corkscrew. An easy pre-holiday wine and cheese ornament exchange party. Goode Wine, Goode Times, and Goode Deeds: Giving back with Murphy-Goode Wine and Operation Homefront. Make a spooky sangria with Turning Leaf Refresh wines.